Are Spanish mortgages available when buying a property in Spain? Yes, Spanish mortgages of up to 80% are available. Spanish mortgages are available from most of the major Spanish banks and savings banks [Caja], International banks and lenders in Gibraltar. Also many new Spanish properties under construction on the Costa del Sol, the Costa Blanca and Costa Calida / Almeria are already mortgaged by the developer as a means to raise capital to fund the construction. A purchaser, under the direction of an abogado [Spanish lawyer] can take over such a mortgage when purchasing such type of Spanish property By agreement with the bank holding the Spanish mortgages the amount of mortgage taken can be increased up to a maximum of 80% of the valuation of the completed property This is probably the cheapest way for an individual to obtain spanish mortgages, as the set up costs will have been already paid by the developer. Sometimes re sale Spanish properties are also offered for sale with Spanish mortgages in place, your abogado, should check out the terms and conditions applying to the mortgage, if you are to consider taking it over. Spanish mortgages are attached to the Spanish property and written into the escritura [tile deed], not to the person who takes out the mortgage, which is one of many good reasons to always use an abogado [Spanish lawyer] when buying a property in Spain. What is the cost of arranging spanish mortgages? Unless you are buying a property in Spain with a mortgage already in place [see above] the cost to arrange Spanish mortgages will be between 1% and 1.5% of the amount advanced. Apart from the valuation fee from around 200 euros, you will have to pay the notary costs, taxes, Spanish property registration and legal fees of the lender, these will all be itimised on you mortgage offer, and they will all be paid by the bank on your behalf. You will also be required to take out building insurance and life insurance to cover the amount of the mortgage, you can take either straight life insurance, or an endowment style policy with the appropriate life insurance attached, which will give you a cash lump sum when the policy matures. There are independent tasadors, some banks will accept valuations from a variety of companies, others have their own tasador, but the resulting valuations can vary considerably. You can usually borrow up to 3 times your gross annual income, but generally the monthly repayment should not exceed 30% of your net disposable income. On purchases of land the maximum will usually be around 60% of the valuation, which also applies to county houses constructed on land classified as “rustic” On land which you own outright, an approved architects project, with the building license paid, can be mortgaged at up to 60% of the valuation of the completed project [construction and land]. This figure is more than sufficient to cover 100% of the building costs of normal residential construction. Lenders will not finance construction on land that already has a mortgage attached. Which currency should I borrow in? Spanish mortgages are available in most major currencies. You should be aware that if you borrow in a currency which does not have a fixed value against the euro. Currency fluctuations could make your borrowing more expensive, or less expensive depending on whether your chosen currency weakens or strengthens against the euro. Interest rates will again depend on the currency you choose to borrow. Interest rates for mortgages in euros are based on the Euro Interbank Offered Rate, or EURIBOR for short, which has largely taken over from the older MIBOR, the current EURIBOR rate [December 2004] is 2.89%. The lenders rate will be a margin over EURIBOR generally EURIBOR + 1.25% but individuals circumstances can dictate higher or lower rates. How often will interest rates be reviewed? Most commonly 10, 15 or 20 years, but up to 35 years can be arranged. What is the cost of early repayment of Spanish mortgages? From zero to 1% depending of the loan, some lenders on charge for cancellation only in the first 5 years, others make no charge at all, it is important to choose the your lender carefully if you are considering an early repayment option. What information will the bank require in arranging Spanish mortgages ? Banks vary in the amount of information that they will require, it is wise to prepare as much of the below as possible in advance. If you are employed: Last 3 wage / salary slips. Last Income tax declaration [P-60 in the UK] or evidence of latest annual tax assessment. Copies of current bank statements. Bank reference letter from your employer confirming date of employment and proof of income. [not always essential but helpful, especially if you want to achieve the highest possible percentage] Copy of passport / residencia If you are self employed: Latest income tax declaration. Copies of the accounts for the last 2 / 3 years Chartered accountants company report, confirming your annual personal drawings from the company. Copy of your passport/residencia Personal bank statements. Bank reference letter. You will also need: In relation to a specific Spanish property, the nota simple from the property registry, offer letter or sales purchase contract, we will provide the relevant document NIE number from the local police station, which we or your lawyer can arrange. You will also need to open a Spanish bank account, which we can also help you with. Note: Bank charges for maintaining an account, and commissions for transferring money the account vary considerably from bank to bank, some provide good online banking, which is useful to check if the bills have been paid in your absence and transferring funds with zero commission. Which lender should I choose for Spanish mortgages? Spanish national and regional banks are generally the best bet, unless you have a bad credit history. Because of the many variables that need to be considered, not least being the location and type of Spanish property, a banks current special offers, the terms and conditions, we offer a Mortgage Advisory Service which is offered free of charge to our clients. Our independant Mortgage advisor is well known by the banks in this area, our ability to introduce you to the relevant bank with all the paperwork complete will speed the mortgage process to a successful conclusion. 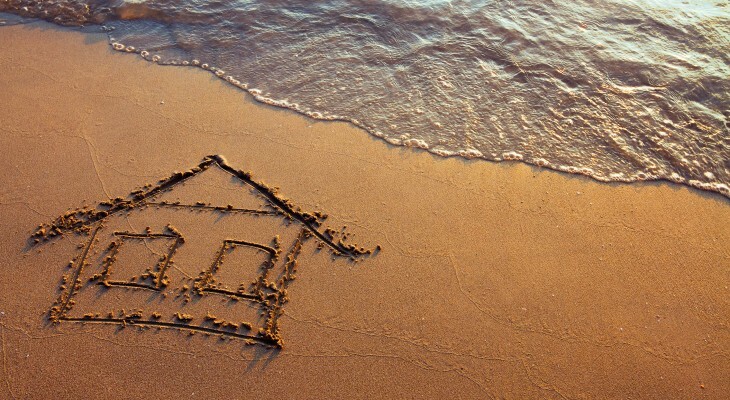 Please read our information on buying a property in Spain.